A STUNNING seventeenth century country house that was used by a French king in exile has come to market. 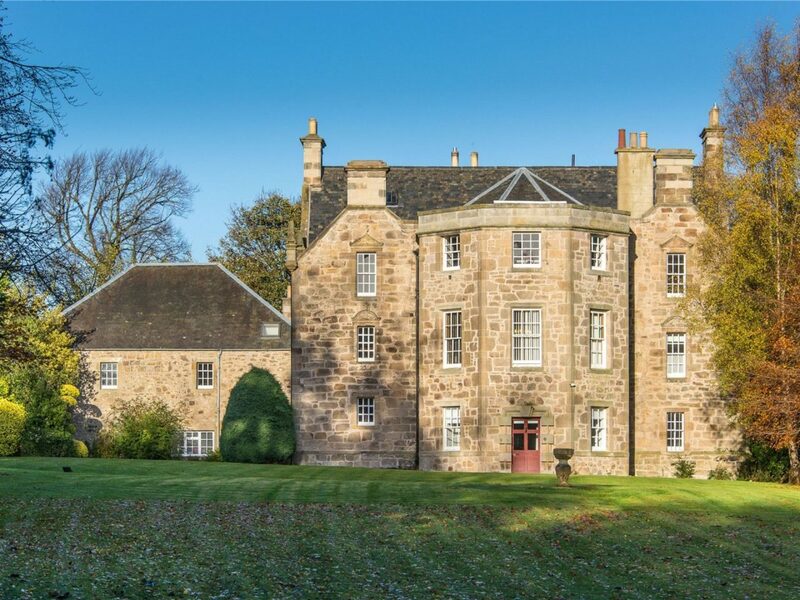 Baberton House in the Juniper Green area of Edinburgh, six miles from the city centre, dates back to 1622 and has been used as the head offices of a property company. “Depending on planning consents, the building could be … a boutique hotel in a brilliant location,” commented Peter Lyell from Savills who are marketing the property. The A-listed heritage property, available for sale or lease, was built by James Murray – King’s Master of Works under Charles I. In 1830, France’s King Charles X – the last Bourbon king of France – spent three months living at Baberton House following his abdication and exile. Notable design features of the historic 8,623 sq ft property include: 17th century vaulted rooms on the ground floor with stone architraved doorways; a fine geometric plaster ceiling depicting the national symbols of Great Britain; splendid fireplaces including those of carved timber and imposing stone; beautiful wood panelling; and ‘The King’s Room’ with a beautiful ceiling ornamented with a Fleur de Lys pattern in honour of the French king’s residence. Savills say the property, which has 10.8 acres of grounds, is also a good candidate to be returned to residential use or broken up into smaller serviced offices.